Over the past couple of years, I’ve traded my love for statement necklaces for more dainty, layered options (like this & this) and instead opted for statement earrings. I find that I can wear statement earrings over and over again with everything from a fancy dress to a t-shirt and jeans. While I used to swear by Rent the Runway for dresses to wear to weddings, lately I’ve been either finding less expensive options from brands like Asos or Boohoo or accessorizing simple dresses that can be worn more than once. 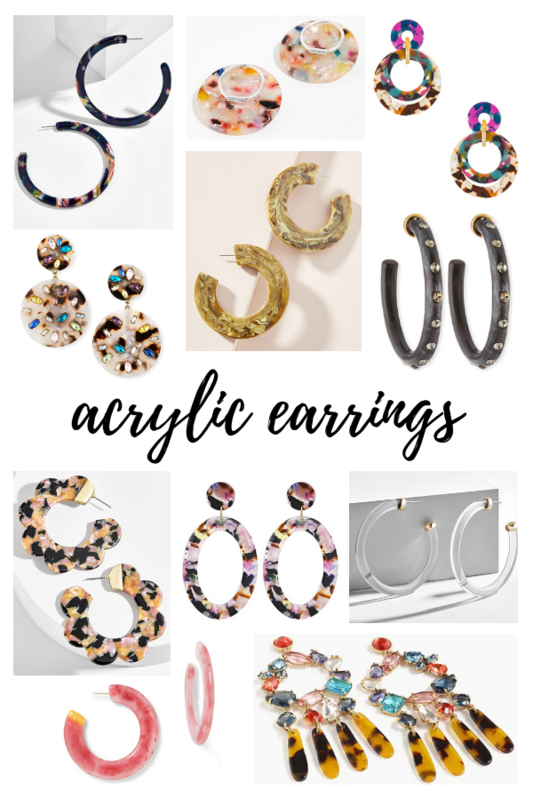 While I was on the hunt for fun earrings to go with a black dress, I came across lots of acrylic and resin earrings and fell in love not only with the styles, but also the price points I found. But the main reason I love acrylic and resin earrings is how lightweight they are. 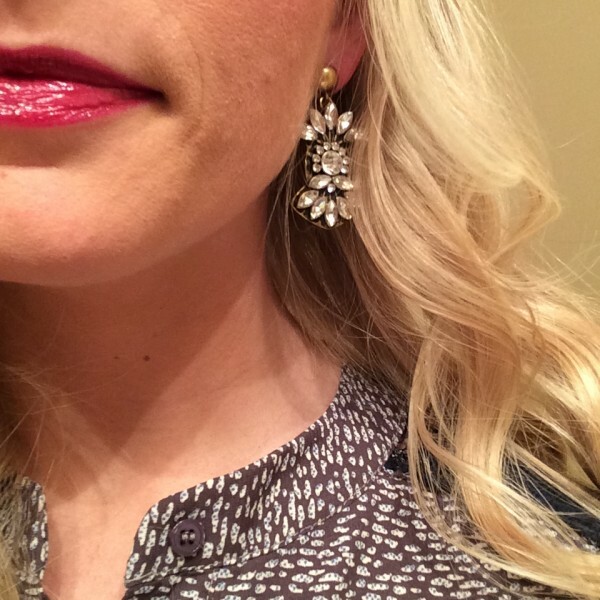 Even if I love a pair of earrings, I won’t buy them if they feel even the slightest bit too heavy on my ears. There are also so many fun colors and styles to choose from! Here’s a look at the options I have in my jewelry box right now – note that these & these are from Amazon and super affordable! And I’m also sharing several other pairs below at varying price points. My favorite stores & brands for these earrings (aside from Amazon) are Baublebar, J.Crew, Anthropologie, Free People and Urban Outfitters. Keep on scrolling down to shop wayyyy more options I found as well. For me, Sundays are typically a good balance of relaxing and catching up on my to do list. I also find myself browsing online sales, so I decided that Sundays on the blog are now for sale finds. To kick it off, I’m sharing some J. Crew Factory sale finds, all of which you can shop below (and I’m sharing even more via ShopStyle.it on Instagram – @dailykatyblog). So many items are 50% off and then you can get an additional 20% off most of them with code HOTSALE! I can’t decide what to buy – too many good options! Valentine’s Day is coming up this weekend, and for my husband and I that means a nice night out to dinner the day before and more of a relaxed day on the actual holiday. 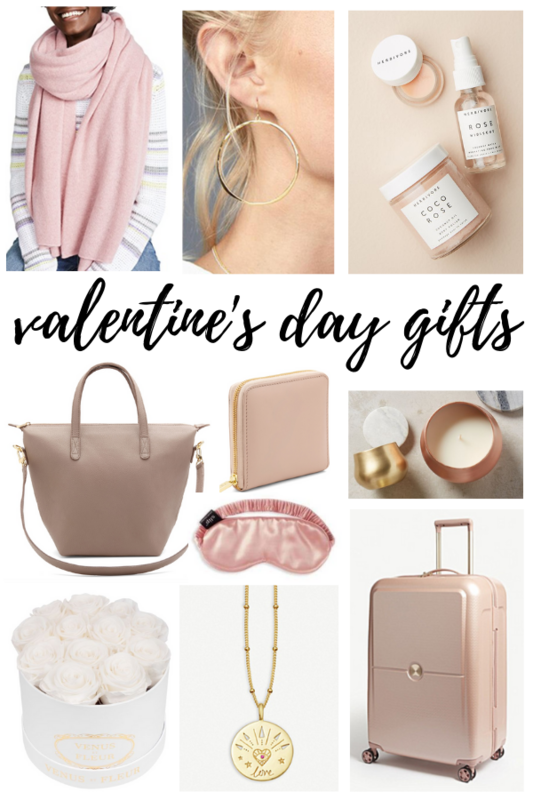 So today I’m sharing two Valentine’s Day looks – dressed up and dressed down, both of which include items from the brand new BaubleBar x Wendy’s Lookbook collection, a collaboration with blogger Wendy Nguyen. Shop both looks using the links below! My 28th birthday is tomorrow, and as I prepare to be snowed in, working from home for what feels like the millionth day in a row, I wanted to share my birthday wish list. Read on and shop the post using the links below! 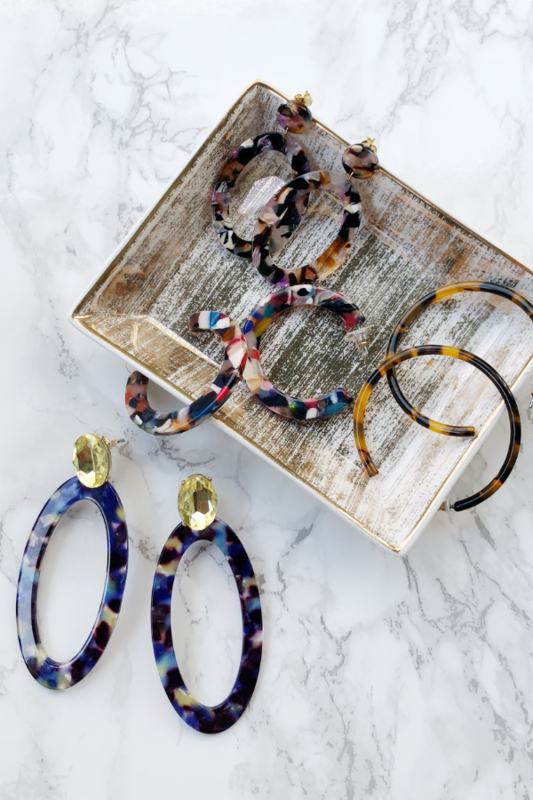 I’m a jewelry and accessories addict, and I’m loving the latest from BaubleBar. This necklace is perfect for layering (plus the amethyst-colored gems are my birthstone) and the earrings are simple, yet sparkly and fun. And they have lots of evil eye jewels, including this ring. It’s always good to stock up on timeless statement items like this Burberry jacket, Frye boots and Gucci bag (which I may have had my eye on for years). And anything YSL is worth the investment, and I’ve been dying to try out this lip color. I have a nice camera that I’ve had for a few years now, and while I don’t need a new one, I love that this Samsung camera has lots of great features but it also compact and connects to wifi (aka I can upload pics directly to Insta). With all of this snow, on top of getting sick and having a crazy month of work, I haven’t been good about getting my daily exercise in. I left my FitBit on a trip earlier this year, so I’d love a new one… along with this gold Tory Burch bracelet to wear with it. I don’t know about you, but on Thanksgiving, I’m all about a cute, put together, but comfortable and cozy look (mainly so I can indulge in as much food as I want). The outfit below does just that – and includes some of my favorite brands too. You can shop this look with the links below, and if you want to shop lots more similar styles, follow me on Instagram and sign up for ShopStyle.it. After that, you can “like” my Instagram pics (or any with ShopStyle.it links) to get an email to shop the look. Today’s link has lots of great sweaters, faux leather pants and more! What will you be wearing for Thanksgiving tomorrow? Let us know in the comments below!